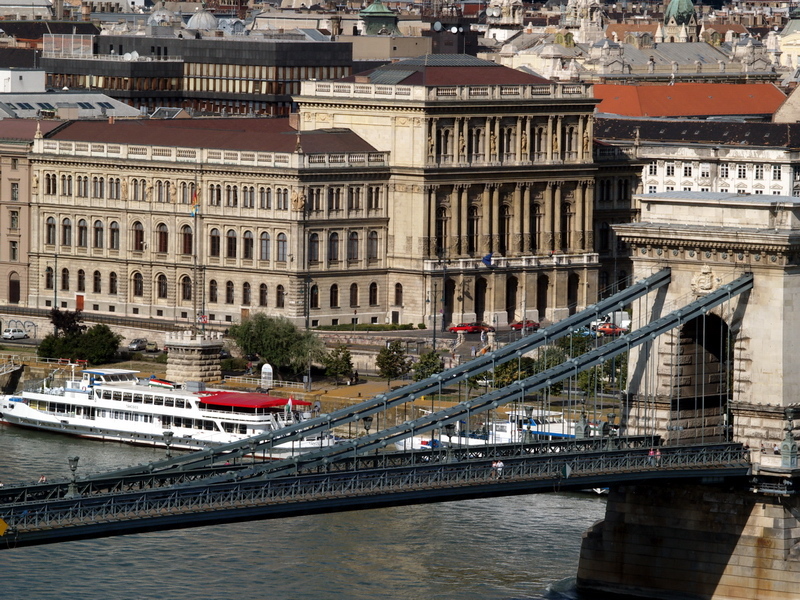 Manuela works as a cartographer at the Vienna University of Technology. 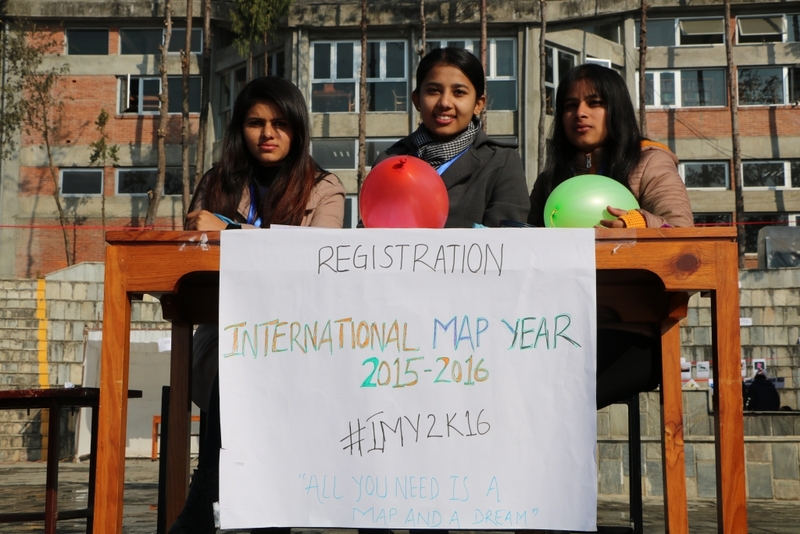 She is also the webmaster for the International Map Year and designed the IMY logo. 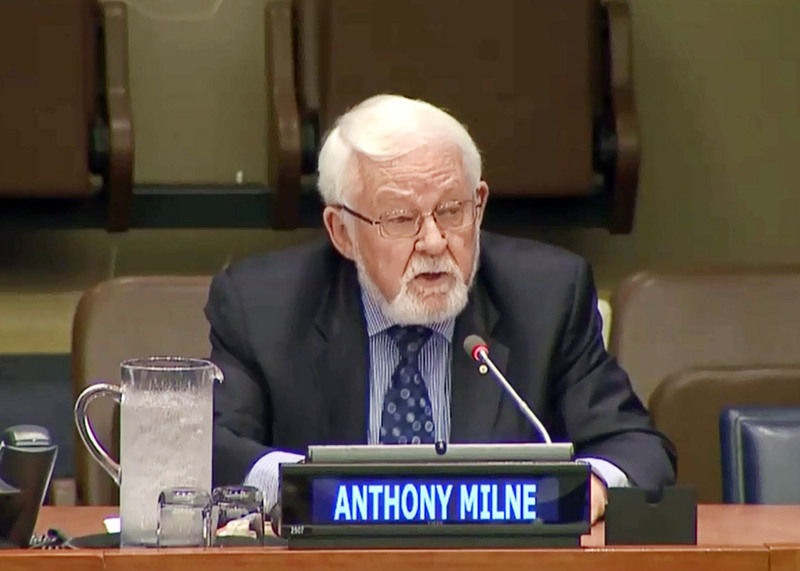 In the year since the Committee of Experts last met, UN-GGIM Geospatial Societies have been very active. 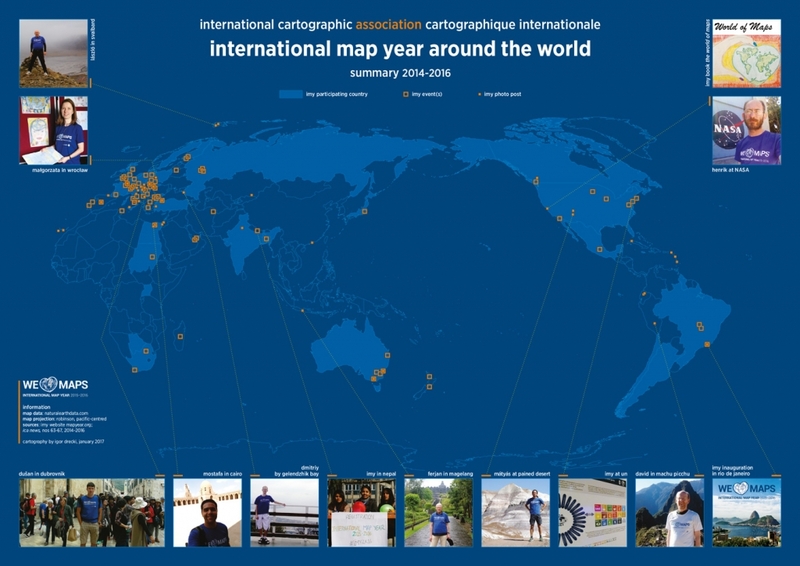 I’m pleased to report the following selective highlights: […] The International Cartographic Association ran a very successful campaign on the International Map Year, which was endorsed by the UN-GGIM Geospatial Societies and the UN-GGIM Committee of Experts. 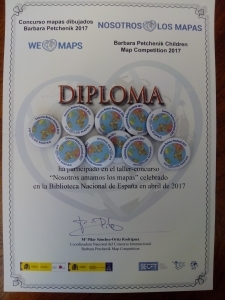 This program aimed to make maps more visible to and understood by decision-makers, citizens and school children in the global context. 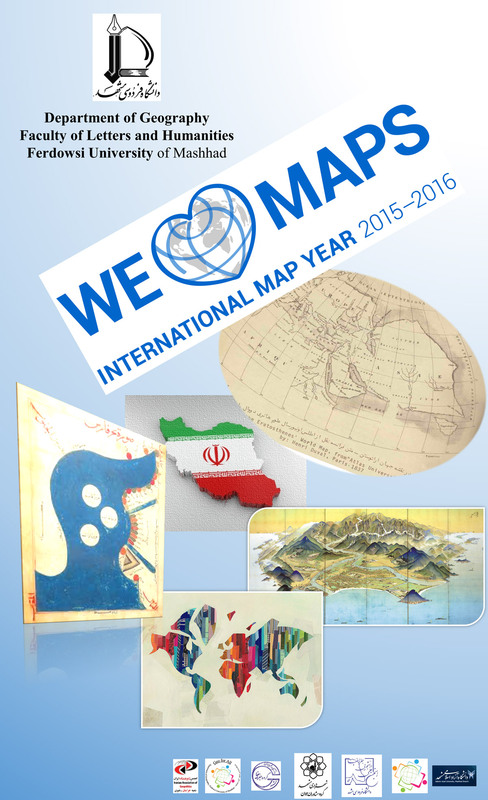 Abstract: IMY was a worldwide celebration of maps and their unique role in our world. 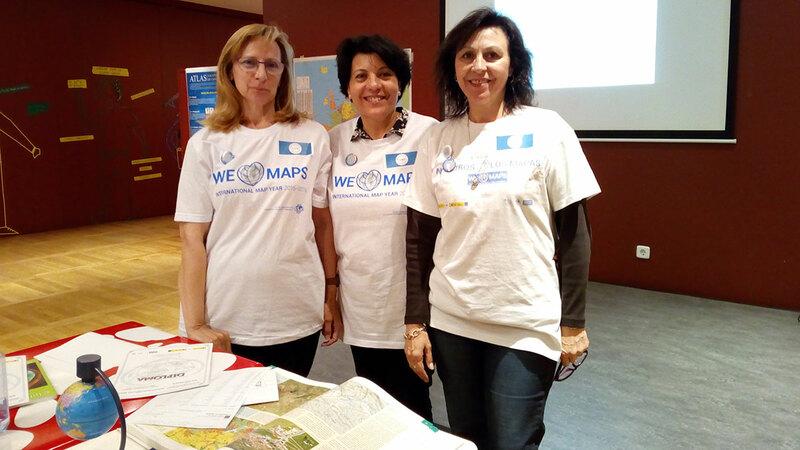 Supported by the United Nations, IMY provides opportunities to demonstrate, follow, and get involved in the art, science, and technology of making and using maps and geographic information. 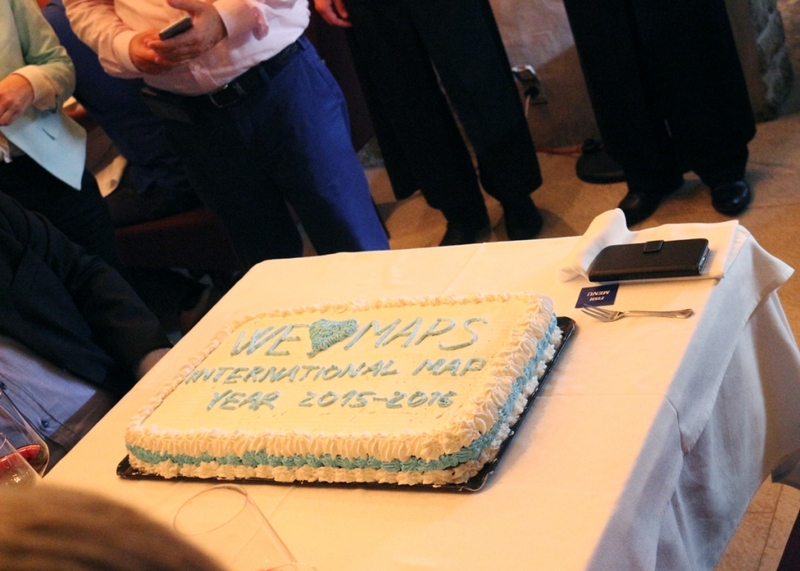 International Map Year (IMY) started in Paris 2011 when the General Assembly of the International Cartographic Association (ICA) asked the ICA Executive Committee (EC) to follow up on the proposal given in a motion from the Swedish Cartographic Society. An IMY Working Group (WG) was constituted — it defined the IMY goals and the activities required to reach them, and it proposed a suitable time period for the IMY to the ICA EC. IMY commenced in August 2015 and ended in December 2016. 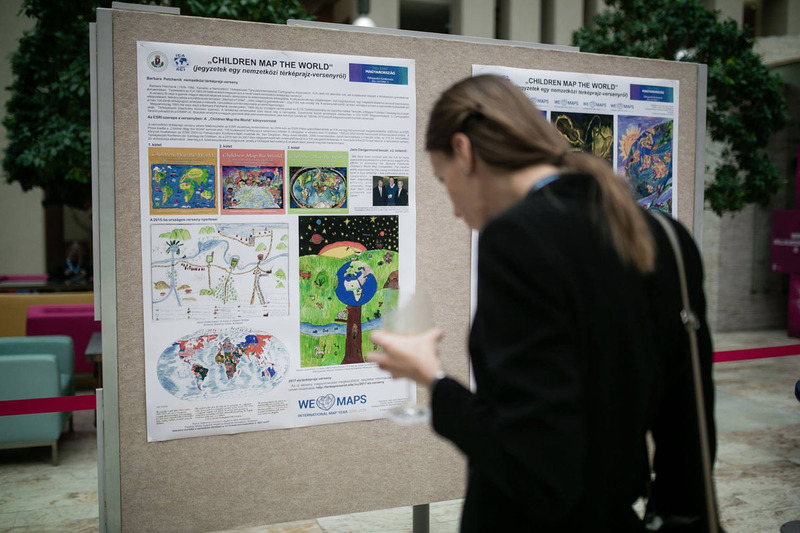 The success of IMY was dependent on all member nations of the ICA participating in an effort to broaden the knowledge of cartography and geographic information in society in general, especially among citizens and school children. Member nations of the ICA were responsible for organizing IMY activities, such as a national Map Day, through national IMY committees tasked to engage national organizations and spearheading collaboration. The IMY WG set up an IMY web site with general information on IMY, guidelines for how to organize Map Days, suggestions relating to activities aimed at general map awareness, and more. 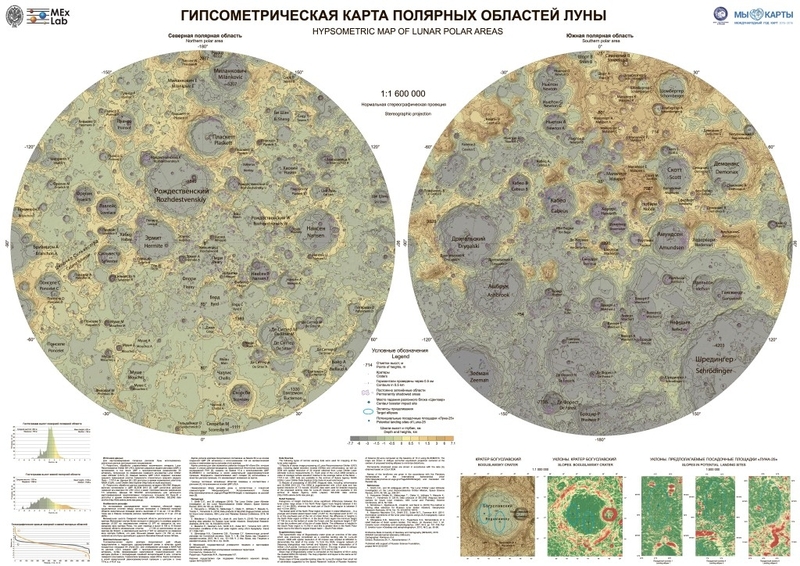 The web site also provides access to the electronic book The World of Maps, which has been translated from English into five other languages. 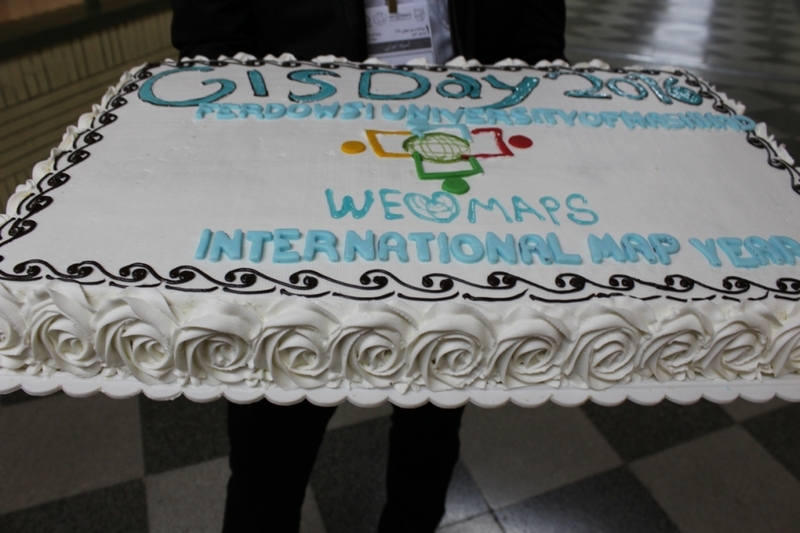 Keywords: International Map Year, IMY, The World of Maps, maps, geographic information. The latest issue of ICA News features a wonderful recap of IMY activities around the world – including a world map highlighting participating countries, IMY events and IMY photos. IMY activities in ICA News. Map by Igor Drecki. Reading the stories on IMY one cannot help but be astonished by the incredible ingenuity of national IMY coordinators and committees in promoting the message of IMY. From national days and workshops to postal stamps and map stands, from exhibitions and posters to wine and chocolates, from fun-filled challenges for children to official events involving government ministers – you name it it’s there! The colour and energy of these celebrations was simply contagious and left us all with unforgettable memories. I think IMY achieved something truly special – it strengthened and invigourated various cartographic communities and sparked unprecedented interest of the public in maps and mapping! 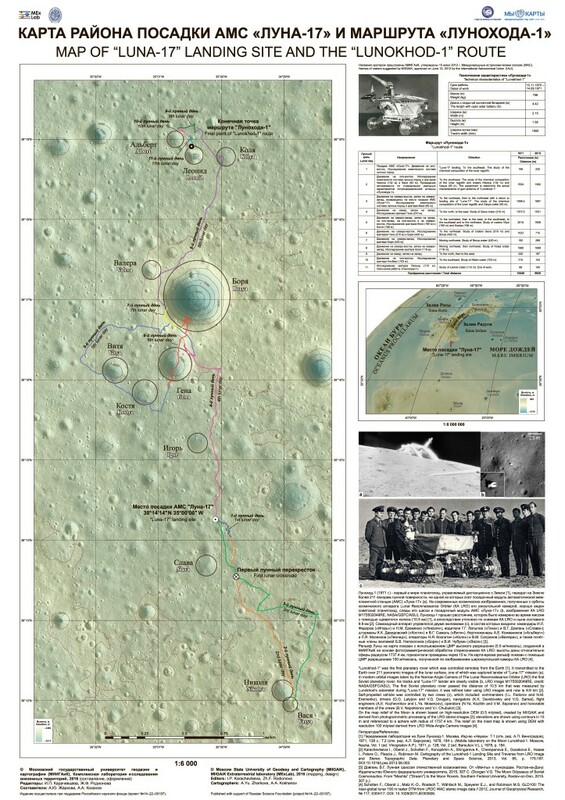 For more details, download the IMY map (2.8mb) or download the complete issue of ICA News as PDF in web quality (3.5mb) or print quality (33.6mb). From August 2015 until December 2016, the Swiss Society of Cartography (SSC) and their institutional members – amongst them swisstopo, Esri Switzerland, ETH Zurich, Zentralbibliothek Zurich, Fachhochschule Nordwestschweiz, Gletschergarten Lucerne and others – organized a total of 22 map events and several publications, which promoted Swiss cartography and cartographic products. Among others, the SSC published a special issue Map Year of the Journal Geomatik Schweiz. Different aspects of map production and their different fields of application in Switzerland are described therein. 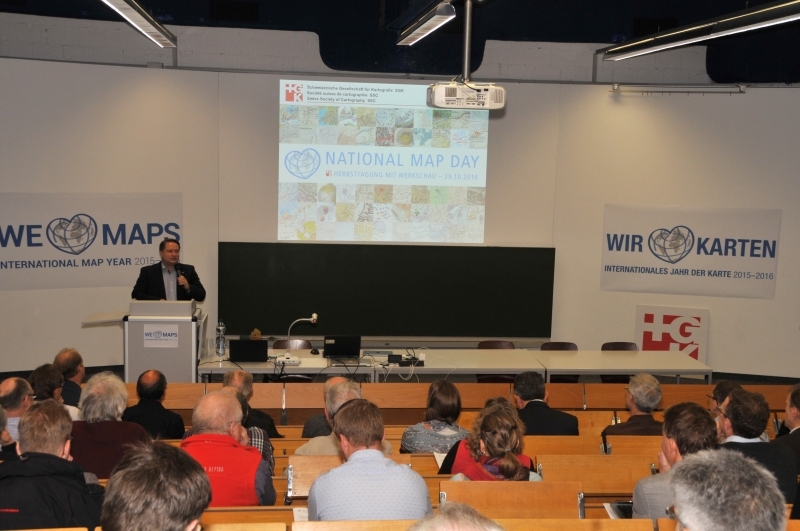 The Society organized two symposiums at the beginning and the end of the International Map Year, one of which was also promoted as National Map Day on 29 October 2016. More than 200 participants went to these occasions. 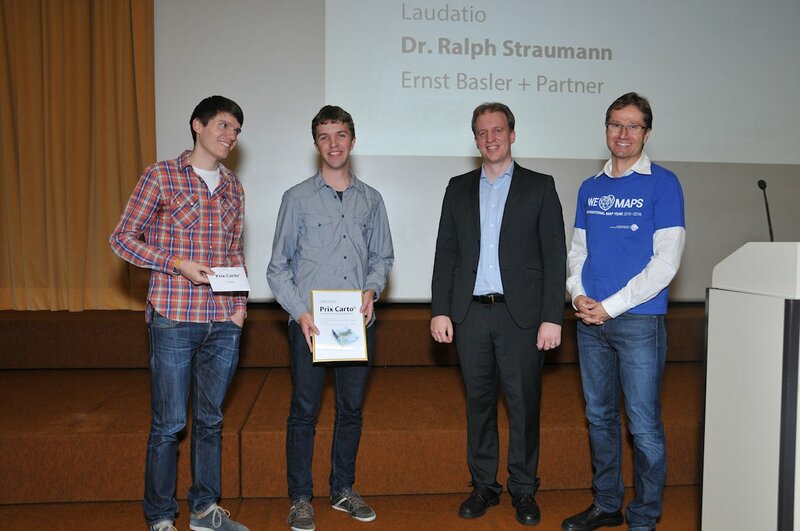 During 2015 the Society’s bi-annual cartographic prize Prix Carto was awarded. 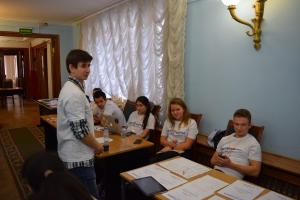 For the first time and especially for the Map Year, a new category for students was established, and three of the fives prizes went to young cartographers who have just started their career in this field. 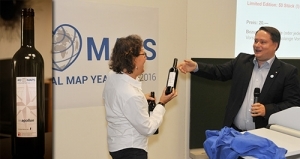 The award ceremony, which was well received, took place at the occasion of the Map Year symposium in October 2015. 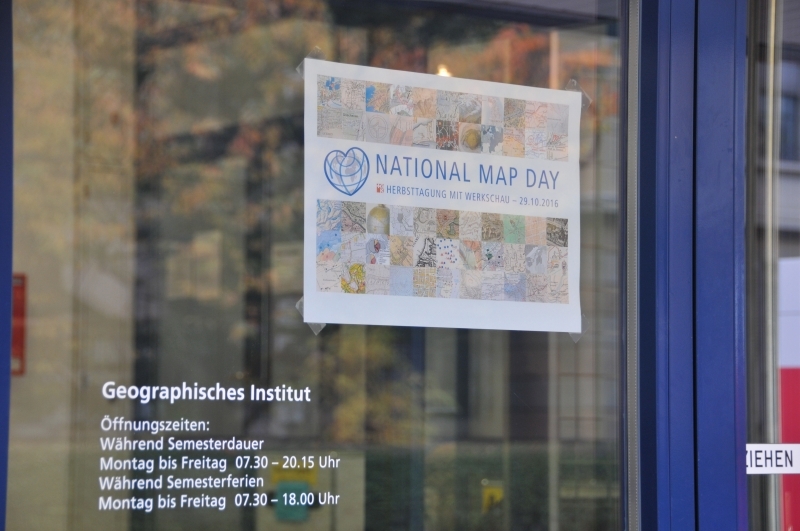 Much attention in the public was also raised throughout the year with the Map Year map blog which was organized by the SSC and the Zentralbibliothek Zurich. During the 70 weeks of the Map Year 2015/16, 70 maps were presented, which convey a cross-section of Swiss map production. The blog offers a lot of background to the Swiss cartography and is spiced with a pinch of humor. The map blog will later also be published as a printed book. 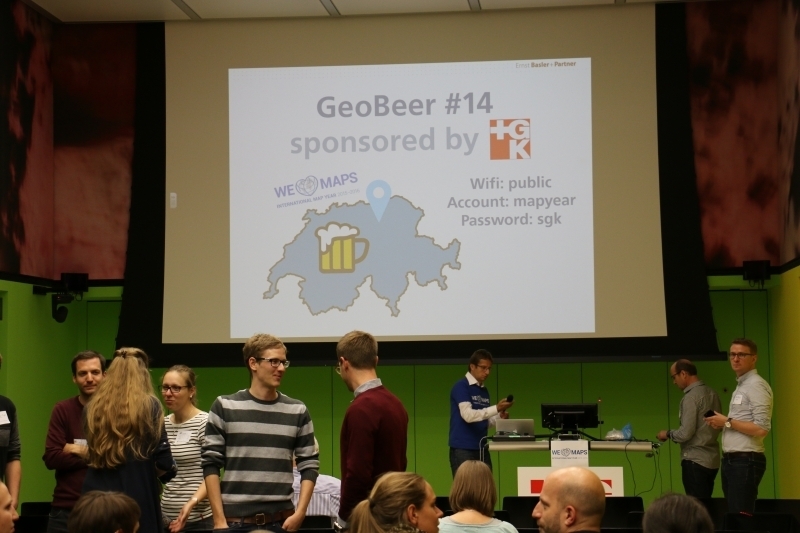 Another – and most probably the most successful – event organized for the International Map Year was the GeoBeer with more than 150 attendees and cartographic presentations, which was hosted by the ETH Zurich. 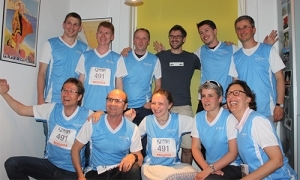 In addition, the SSC organized a team – outfitted with Map Year shirts – for one of the biggest and most popular running events in Switzerland with around 14,000 participants: The Map Year Runners, a team of 14 cartographers finished the 116 km long track in and around Zurich. 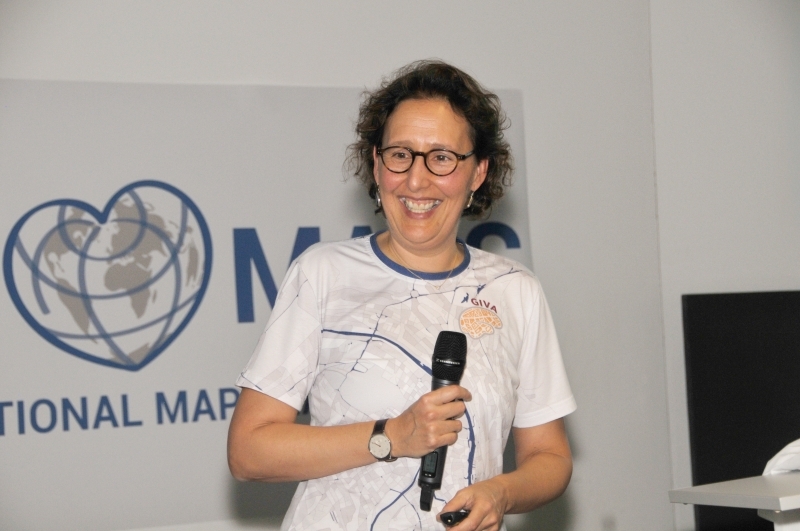 As part of the team was Sara I. Fabrikant, Vice-president of the International Cartographic Association ICA. 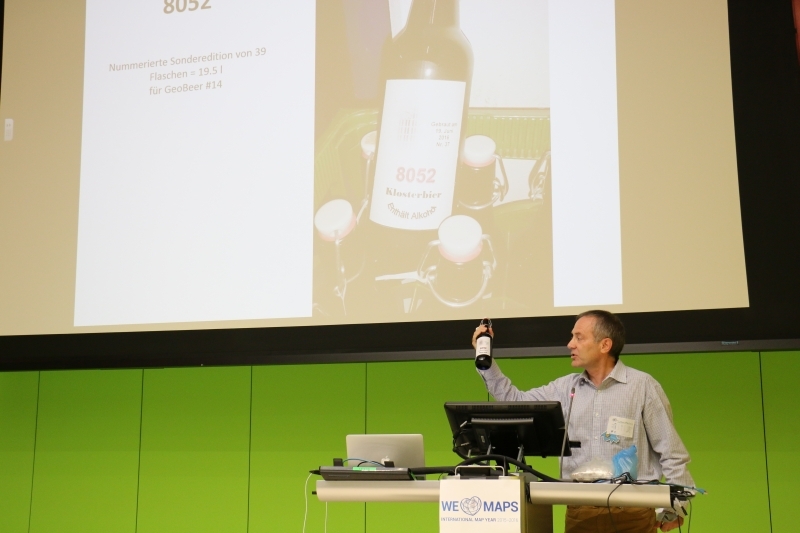 Finally, to complete the Map Year properly and celebrate our genuine love for maps, the SSC has launched a special gift in October on the occasion of the Swiss “National Map Day“ – a Map Year wine! The output of this fine red wine from the Mont Vully region is strictly limited to 50 numbered bottles and can be placed amongst map and wine lovers. 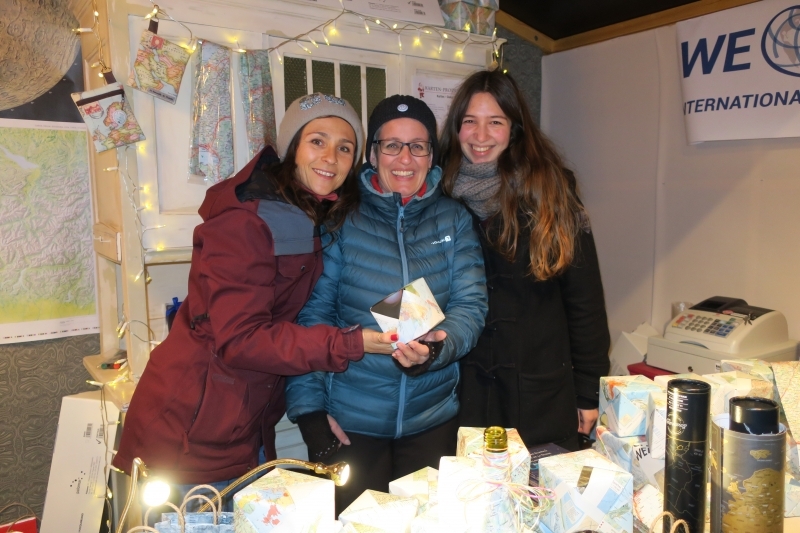 The Map Year festivities in Switzerland, which were surely a huge success, came to an end with one last event in the heart of Zurich – a map stall at one of the biggest Christmas Markets nationwide. 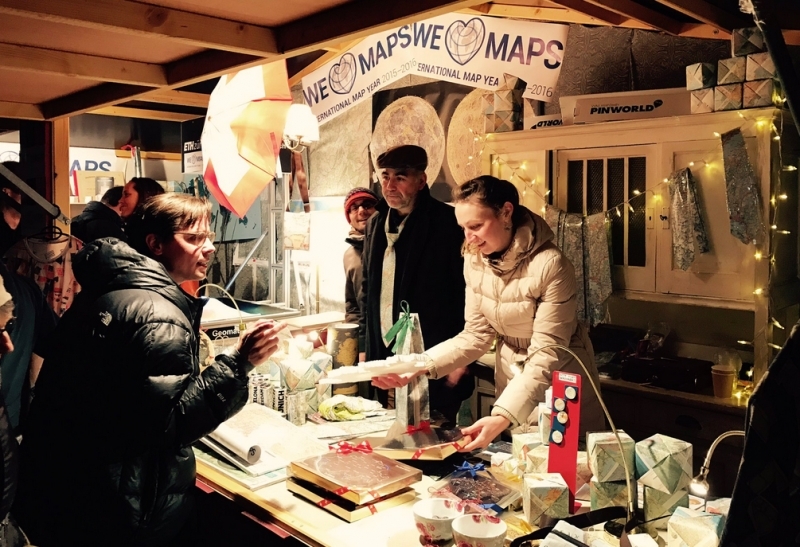 Over 80 different cartographic products were on display, for sale or given away – under the banner of “WE LOVE MAPS“. There can’t be a better place to meet thousands of people in a cosy atmosphere and promote the cause of cartography! We are happy to announce that the Hungarian translation of The World of Maps is available for download. The World of Maps is a free e-book produced to accompany the International Map Year. 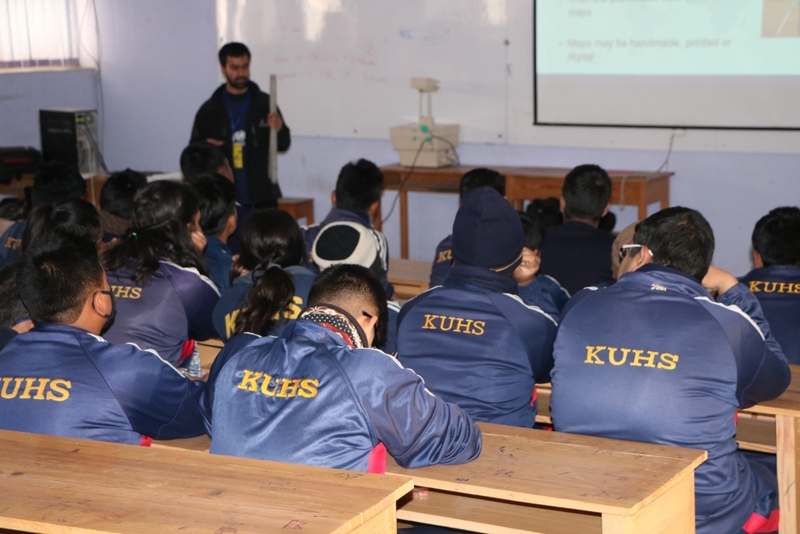 The perspective of the book is to broaden the knowledge of cartography and geographic information among the general public and especially among school children. The translation to Hungarian was done under the supervision of László Zentai. 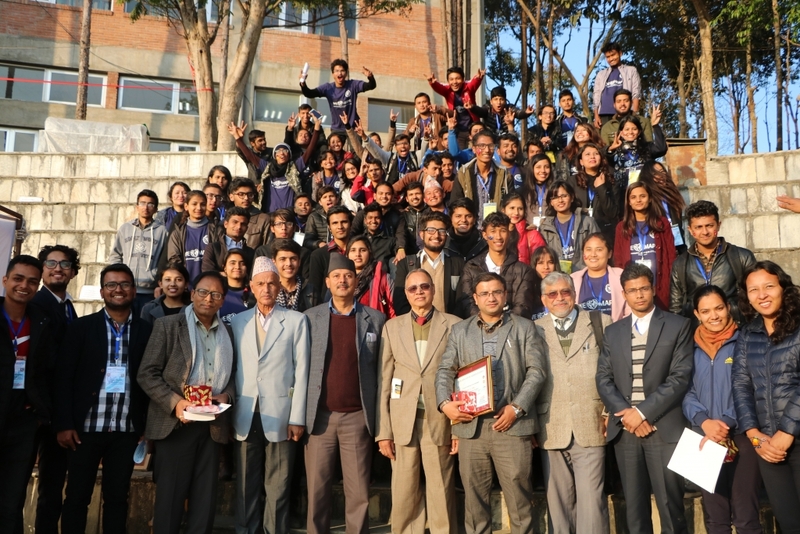 The students of Geomatics Engineering at Kathmandu University, Dhulikhel, Kavre, Nepal, organized a two day program on the occasion of the International Map Year. 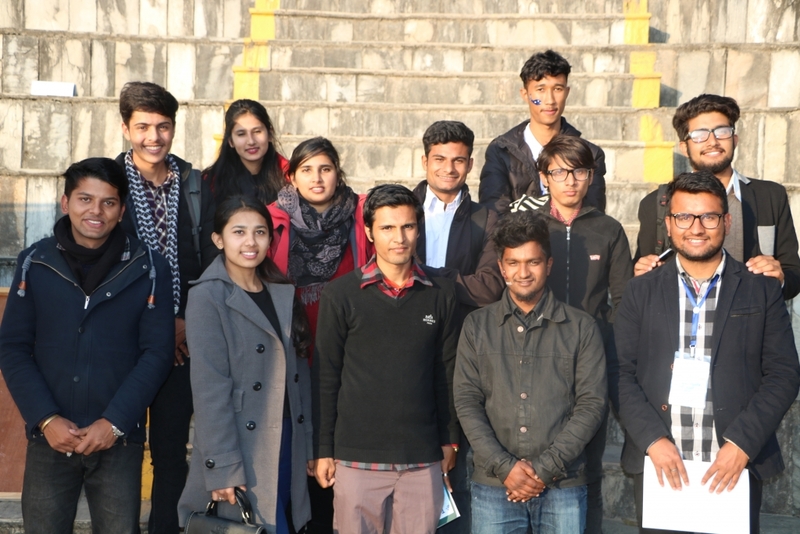 On the first day, a map training for children in schools in the Kavre area was organized: Nearly 40 people in 4 groups conducted training in 4 schools. 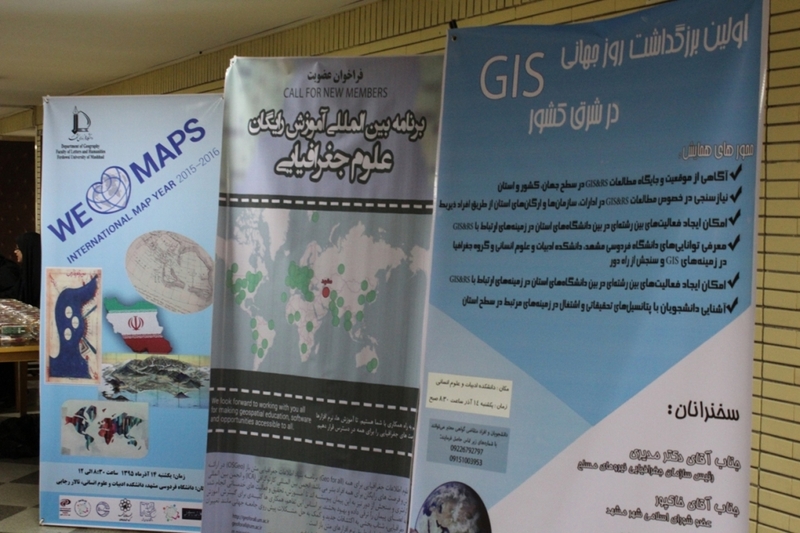 The second day was a day full of map celebrations: The informal part contained a map exhibition, map related games, demonstrations of maps, geodetic instruments and unmanned area vehicles (UAV) and a photography competition. 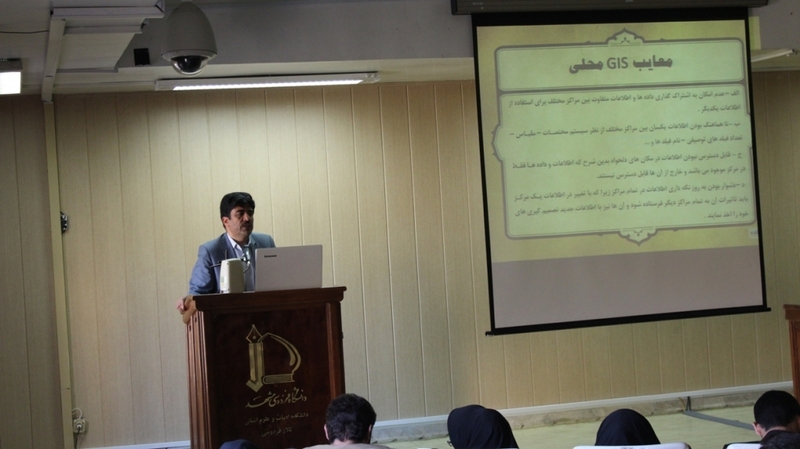 The formal program included presentations on the topic “Maps through my prospective”. 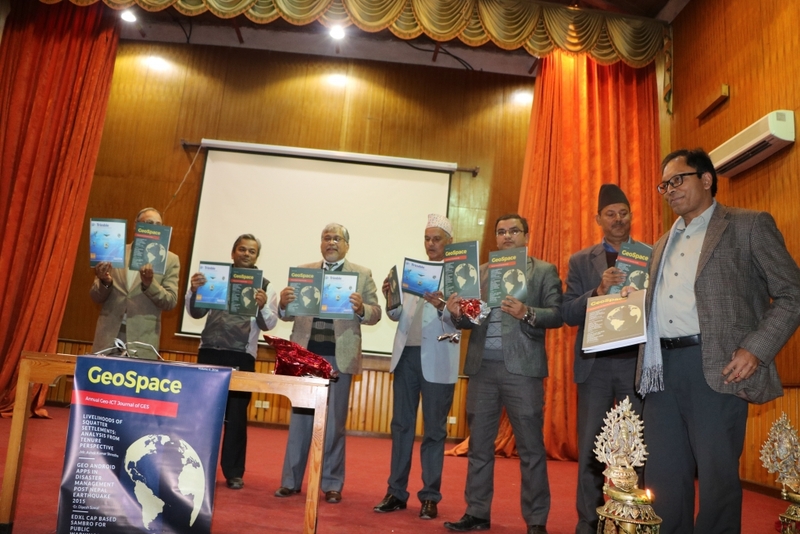 Highlight of the program was the launch of the annual geo magazine called “Geo Space”. 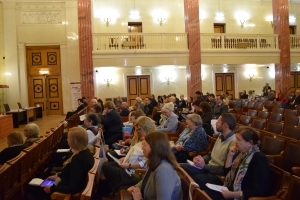 The Cartographic Scientific Day 2016 was held in the main building of the Hungarian Academy of Sciences in Budapest on the morning of December 9. 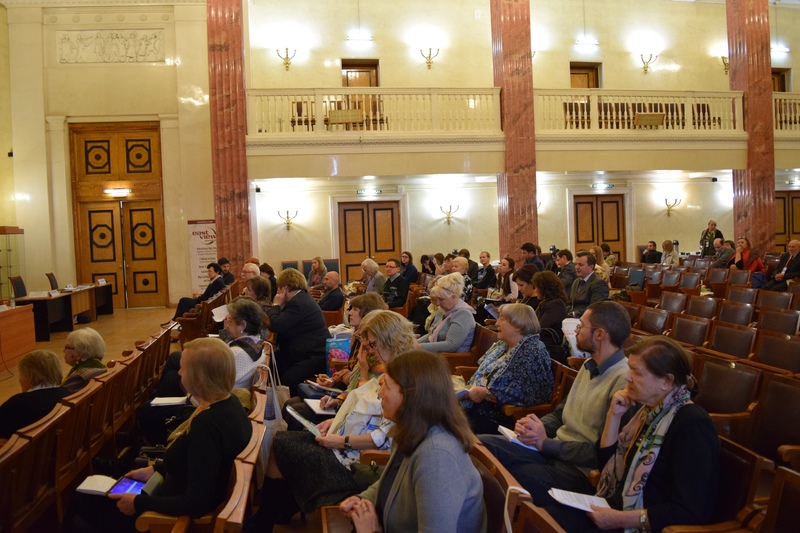 It was organized by the Sub-committee on Cartography of the Section of Earth Sciences at the Hungarian Academy of Sciences as well as the Department of Cartography and Geoinformatics at Eötvös Loránd University, Budapest. 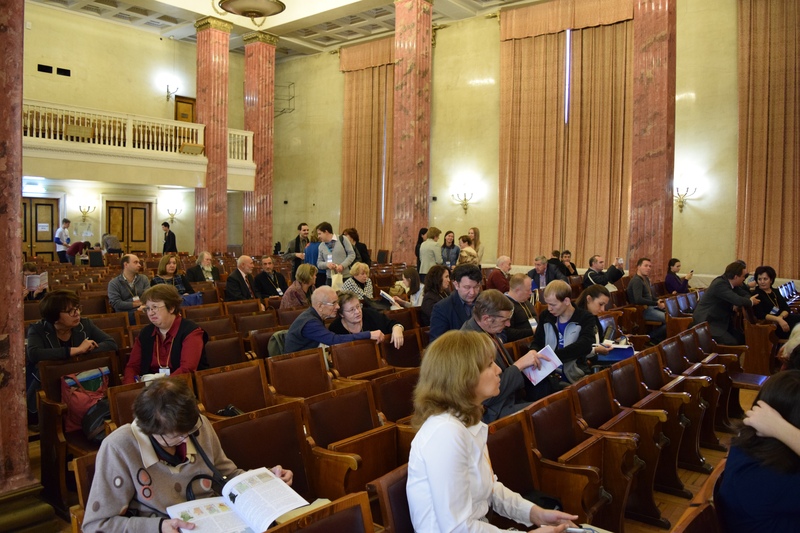 The event was the official closing ceremony of the Hungarian cartographic scientific community celebrating the International Map Year 2015–2016. 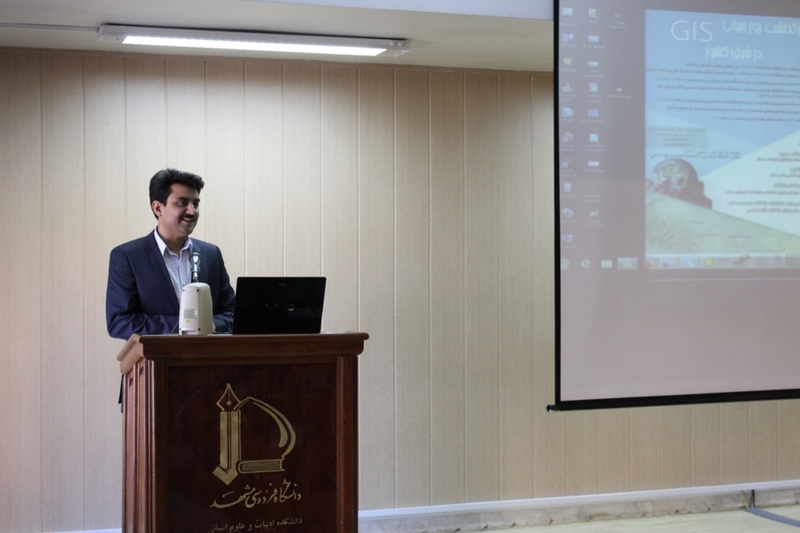 The programme was opened by the former President of the International Cartographic Association, Prof. Georg Gartner (Austria), who after greeting the participants on behalf of ICA offered a presentation entitled „The relevance of Cartography as a scientific discipline”. 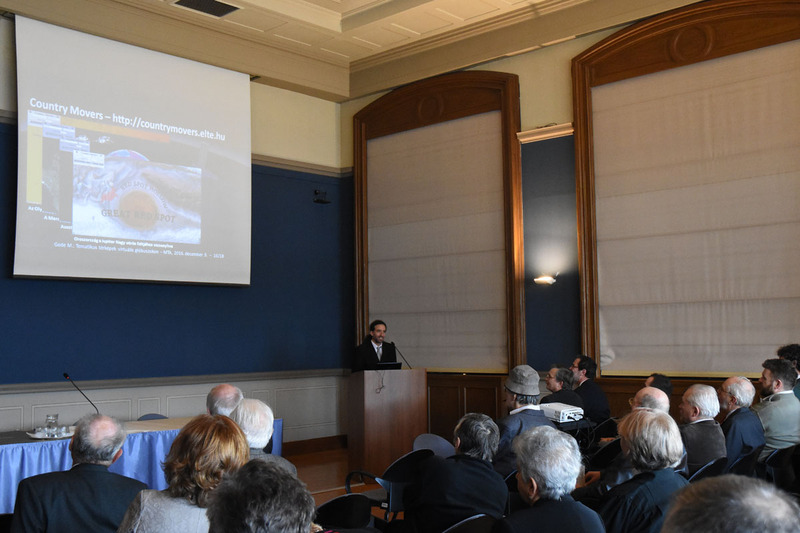 It was followed by the lecture given by Prof. István Klinghammer, member of the Hungarian Academy of Sciences, on the development of European topographic mapping from the Renaissance to the Reformation. After these presentations, participants had the opportunity to know more in detail on the „Newest edition of the National Atlas of Hungary” (presented by Károly Kocsis, director of the Geographical Research Institute, and Zsombor Nemerkényi from the same institution) as well as to hear the lecture entitled “Maps of László Magyar from Kolozsvár to Gotha”, which was given by Zsombor Bartos-Elekes from the Babeş–Bolyai University (Cluj-Napoca, Romania) and Zsombor Nemerkényi. Finishing the half-day event Mátyás Gede (Department of Cartography and Geoinformatics, Eötvös Loránd University) offered a presentation on the use of virtual globes for thematic mapping and László Zentai (Head of Department of Cartography and Geoinformatics at Eötvös Loránd University and ICA Secretary General) transmitted his thoughts on Modern Cartography. 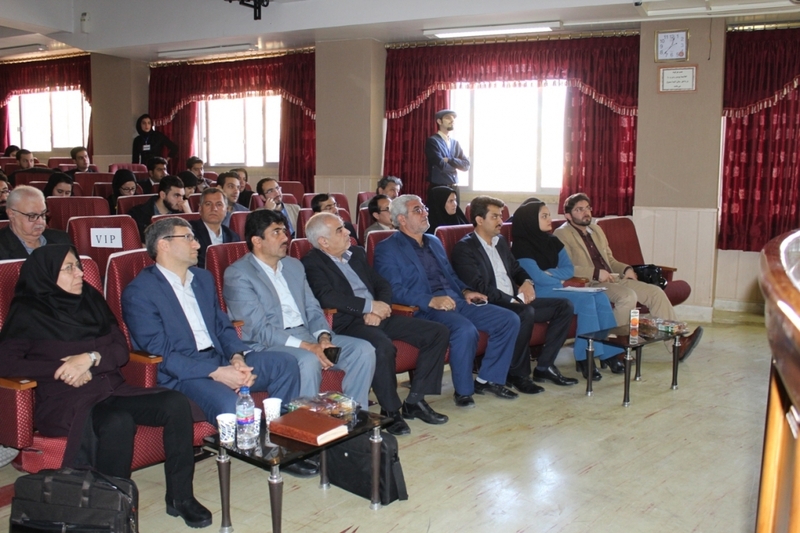 The Scientific Day counted with the participation of members of the Academy of Sciences, colleagues representing higher educational and research institutions as well as cartographers from different national and international companies. 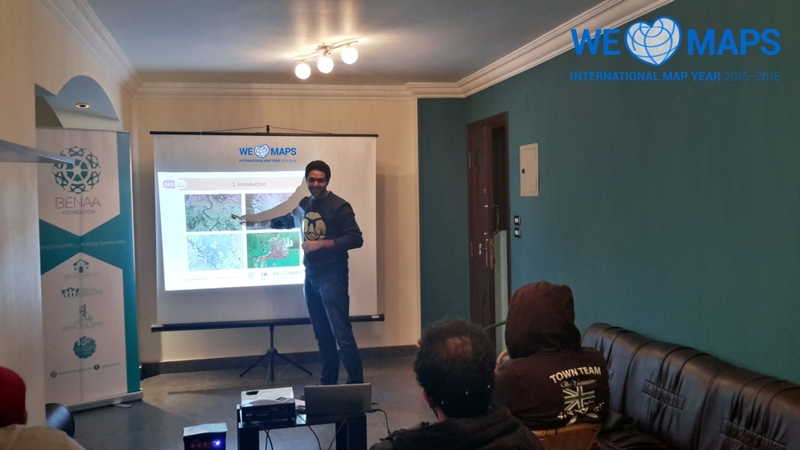 On 14 December 2016, the International Map Year committee in Egypt organized a map session under the name of “The Power of Where”, hosted by Benaa Habitat to raise awareness among young people about the importance of maps and geospatial data in a decision-making cycle at different levels of development in private and public sectors through presenting real-life case studies in the fields of urban development, environmental management and natural protection. 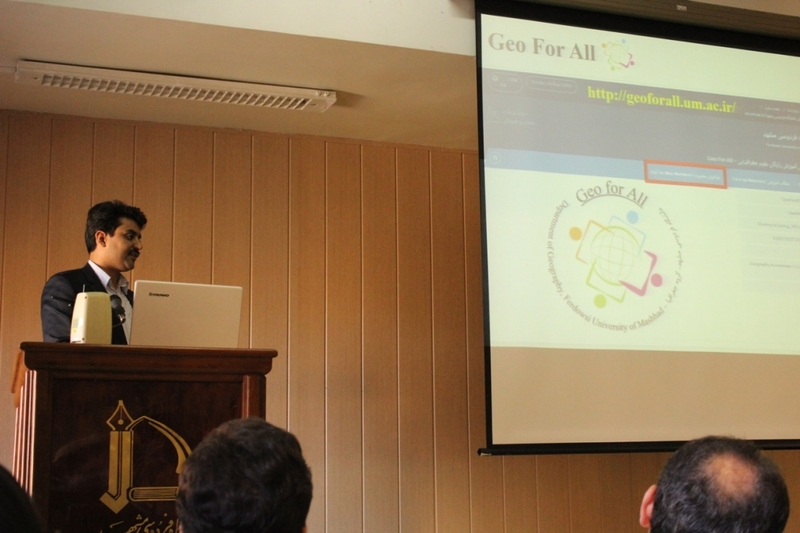 It was also discussed how geospatial tools can be used to understand the SDGs 2030 indicators, spatial patterns of the main challenges like poverty, insecurity food and healthcare in Egypt. 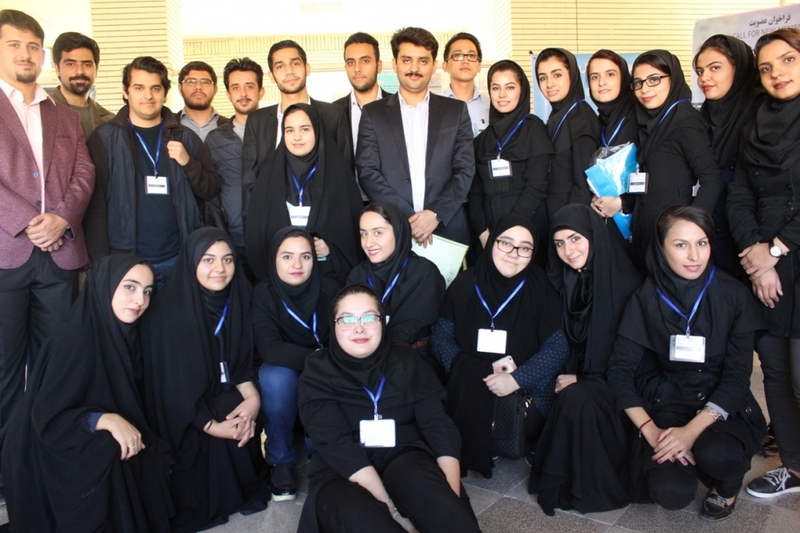 Benaa Foundation is activating and building the capacities of the youth, in order to build up interdisciplinary sustainable development projects, and creating an interactive enabling environment in the MENA region. Many thanks for amazing Benaa Habitat team and creative youth. 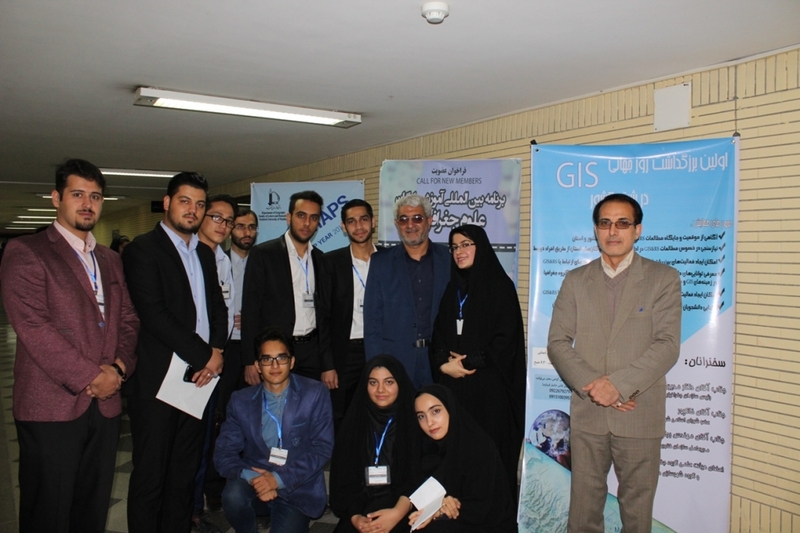 At the Department of Geography in Ferdowsi University of Mashhad, Iran, GIS day and International Map Year were celebrated simultaneously on December 4th. 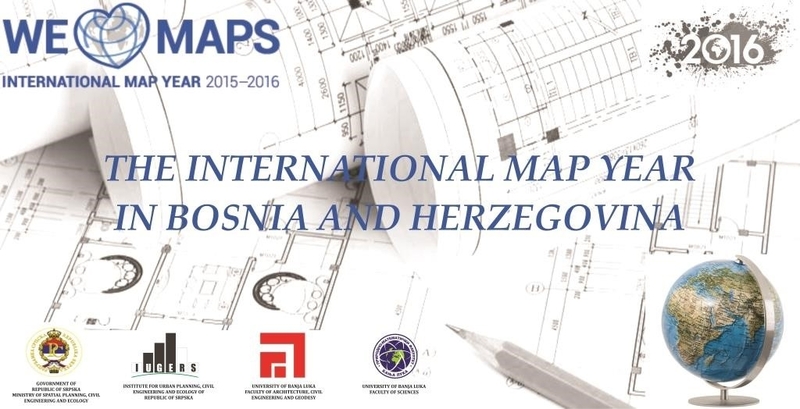 International Map Year in Bosnia and Herzegovina will be celebrated through various events in December 2016. 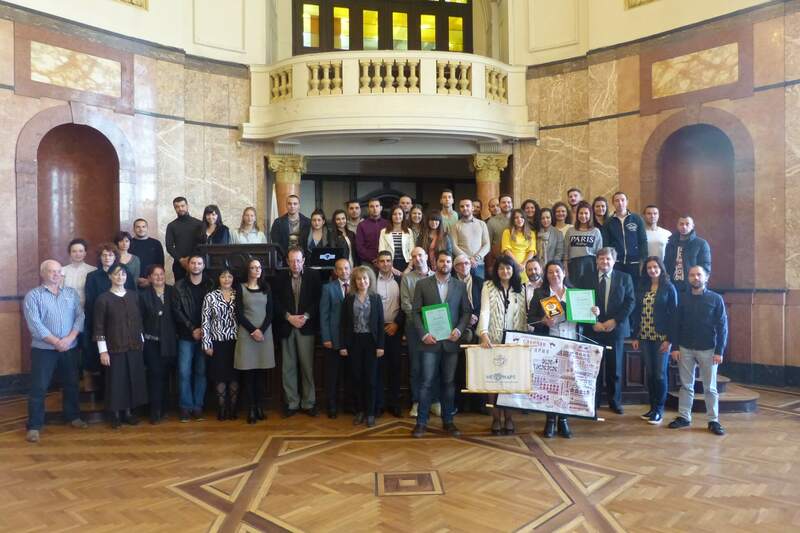 The events are organised by the Institute for Urban Planning, Civil Engineering and Ecology of Republic of Srpska, Faculty of Architecture, Civil Engineering and Geodesy and Faculty of Sciences of the University of Banja Luka, with patronage of the Ministry of Spatial Planning, Civil Engineering and Ecology of the Government of Republic of Srpska. 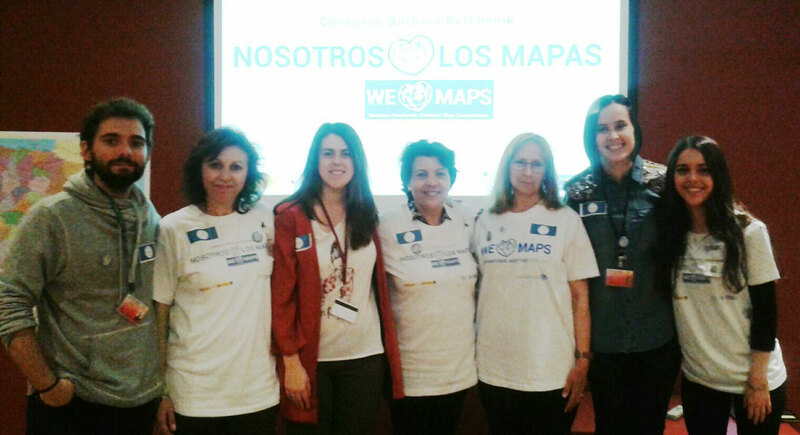 The main purpose of the International Map Year celebrations is to point out the importance of maps in everyday life and the importance of cartography in professional life. 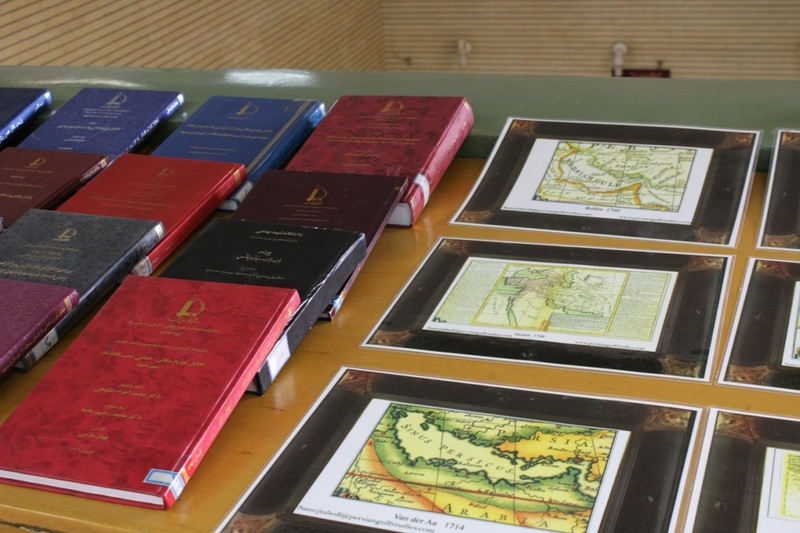 The main activity will be an exhibition of maps, cartographic instruments and GIS, that will be held from December 6–16 in the Grand salon of Banski dvor Cultural Center in Banja Luka. A part of Jelena Stanković’s PhD thesis, consisting of Banja Luka maps found in archives, libraries and museums in Europe, will be presented at the exhibition. The PhD thesis titled „Mapping and Memory in Banja Luka“ was successfully defended at the University of Dundee, Scotland, United Kingdom, with mentoring of Lorens Holm and Charles Rattray. Within the celebration, the XII International Scientific and Professional Conference „Modern theory and practice in building development“ will be organized in Hotel Bosna, Banja Luka, on December 7–8. Additionally, a Solemn academy subject to celebrate 20 years of the Faculty of Architecture, Civil Engineering and Geodesy of the University of Banja Luka will be held on December 8 in Banski dvor Cultural Center. In order to reach a wider audience, the exhibition will also be held in other cities in Bosnia and Herzegovina in the following period. Vice-chairman of the National Assembly Dimitar Glavchev, chairman of the Committee on Economic Policy and Tourism Petar Kanev and President of the Bulgarian Cartographic Association (BCA) Temenoujka Bandrova opened an exhibition “Bulgarian mapping in the International Year of the map” in the National Assembly building. 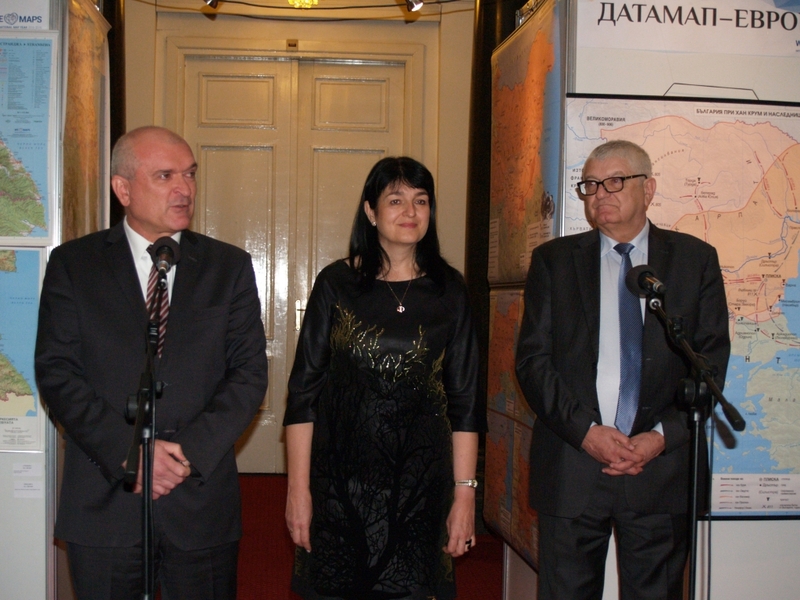 Opening of the exhibition “Bulgarian mapping in the International Year of the map”. Photo by Stefan Bonchev. The exhibition in the Bulgarian National Assembly building. Photo by Stefan Bonchev. 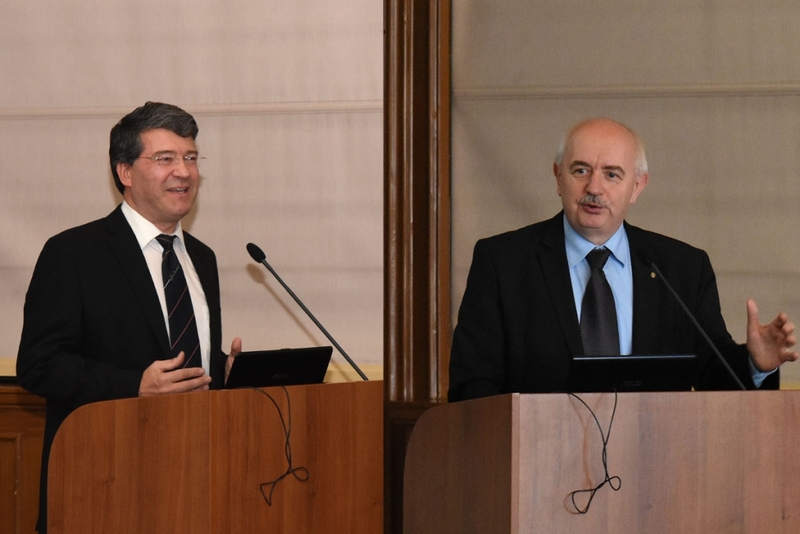 President of the BCA Temenoujka Bandrova awarded a special diploma to Mr. Petar Kanev, for his contribution to the development of Bulgarian cartography, on the occasion of the International Map Year 2015–2016. The collection of exhibits contain cartographic works of old maps, military topographic maps, thematic, tourist, educational maps and atlases, panoramic maps made based on 3D models and navigation cartographic products. Participants in the exhibition: corporate members of the Bulgarian Cartographic Association – DataMap-Europe, Cartographic Studio DavGEO, KartGeo, KartProekt, International Commercial and Cultural Centre GEOPAN, HERE Europe – Bulgaria, Military Geographic Service and the Diplomatic Institute at the Ministry of Foreign Affairs. The event was held in conjunction with the International Map Year 2015–2016 and was organized by the Bulgarian Cartographic Association, Sofia University and National Institute of Geophysics, Geodesy and Geography – BAS. 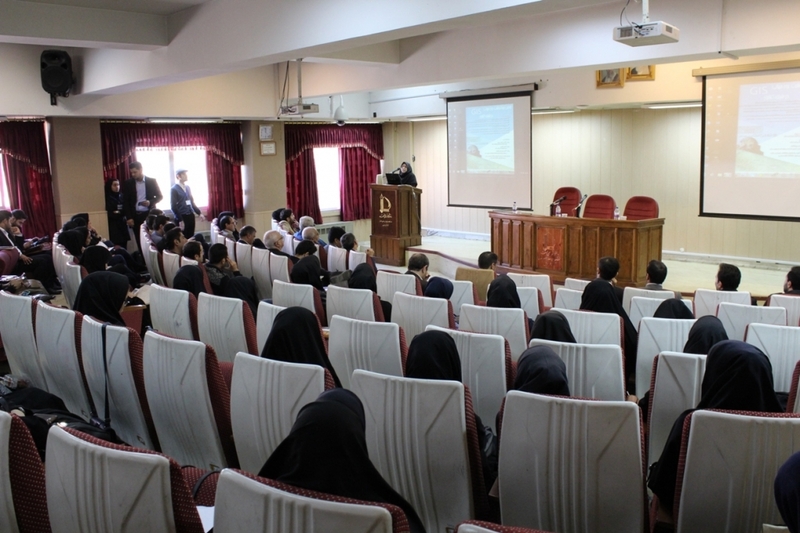 A seminar was held on current cartographic topics. 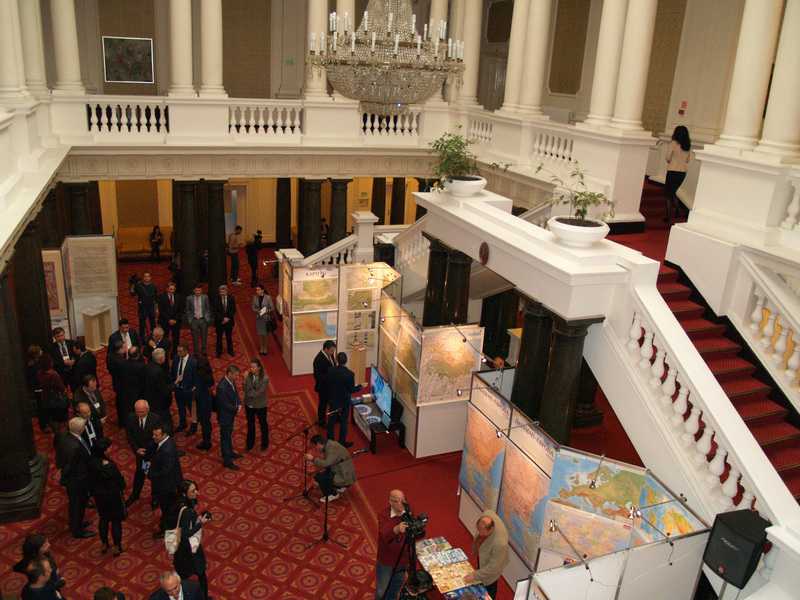 The event included an exhibition of Bulgarian cartographic productions. The president of the BCA Temenoujka Bandrova awarded certificates and prizes to Rumyana Dzhibova from Banichan and Ivaylo Lisichkov, representative of Dryanovo municipality, for their contribution to Bulgarian cartography on the occasion of the International Map Year 2015–2016. 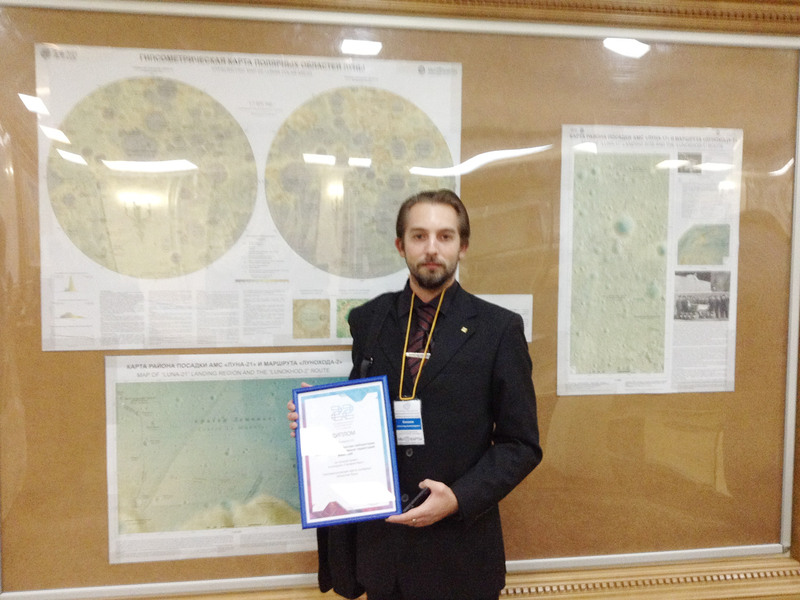 Tim Samsonov reported last week about the national cartographic conference »International Map Year in Russia: Bringing Space and Time Together« on 25–28 October 2016 in Moscow. 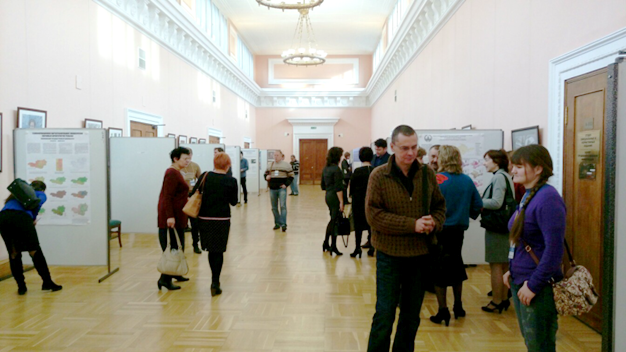 Today, Irina Karachevtseva will elaborate on some of the maps exhibited at the conference. Moscow State University of Geodesy and Cartography and MIIGAiK Extraterrestrial Laboratory (MExLab) took part in the conference and map exhibition at the Russian State Library in Pashkov House. 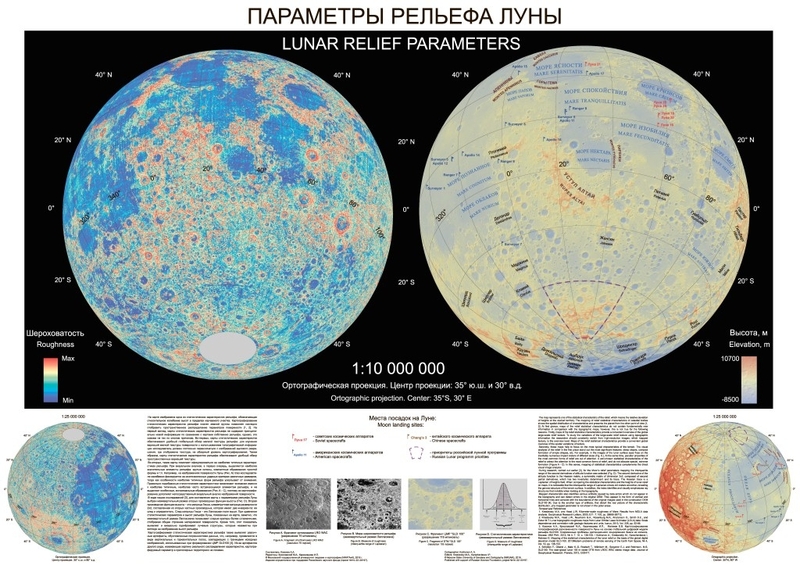 6 new planetary maps produced by MExLab were presented: the Moon, Mercury and Phobos wall maps. 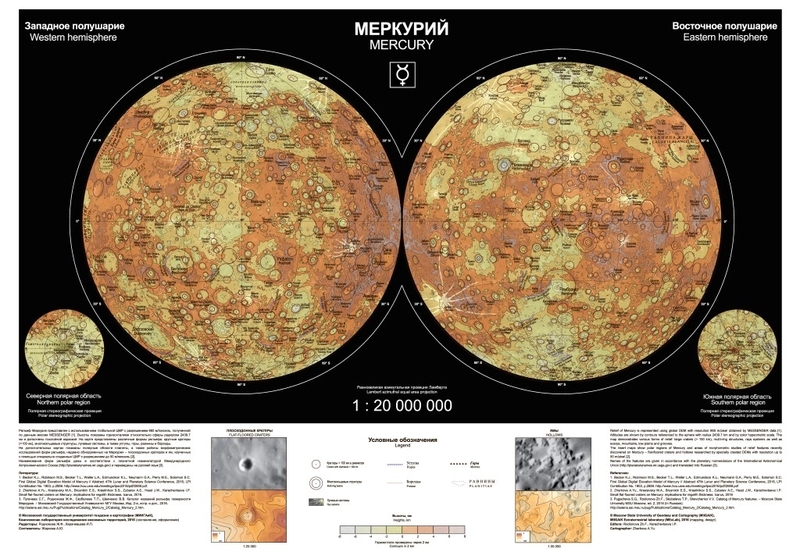 The planetary maps were printed under support of the Russian Science Foundation (project #14-22-00197). Left: Pashkov House where the Department of Cartographic Publications of the Russian State Library is placed. Right: MExLab planetary wall maps and Phobos Atlas presented at the Map exhibition in Pashkov House. 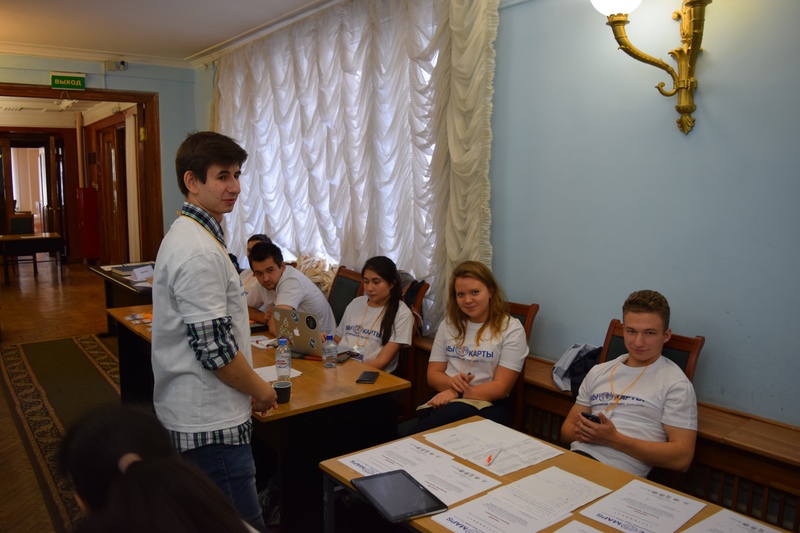 Besides MIIGAiK a lot of other universities and organizations from different regions of Russia attended the conference such as: Moscow Lomonosov State University, Saint Petersburg State University, Geography Institute of Russian Academy of Sciences (Moscow), Bryansk State University, Voronezh State University, Altai State University, The Institute for Water and Environmental Problems (Barnaul), Institute of Geophysics (Ekaterinburg), Baikal Institute of Nature Management (Ulan-Ude) etc. 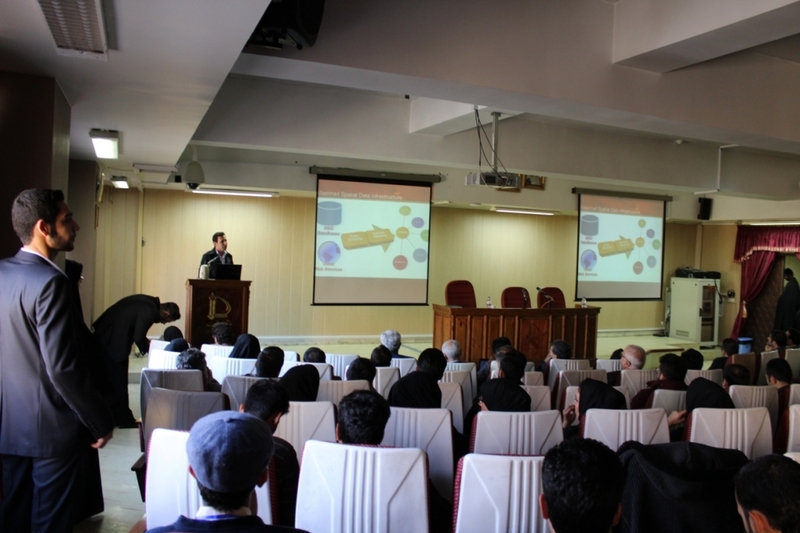 The future of cartography was widely discussed at the conference including the problem of planetary mapping. 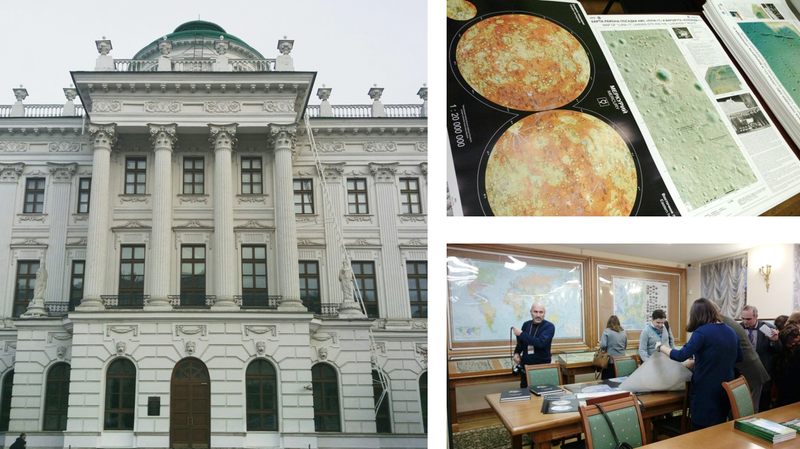 MExLab team would like to thank the organizers of the conference in Russian State Library for this excellent scientific event and opportunity to present new planetary maps! Russia celebrated the International Map Year by organizing the national cartographic conference »International Map Year in Russia: Bringing Space and Time Together« on 25–28 October 2016. The conference was held in Russian State Library (RSL) in the heart of Moscow, the capital of Russia. The RSL is one of the largest libraries in the world, founded in 1862 and now holding more than 45 million units of storage, including the vast cartographic collection (about 250,000 units). 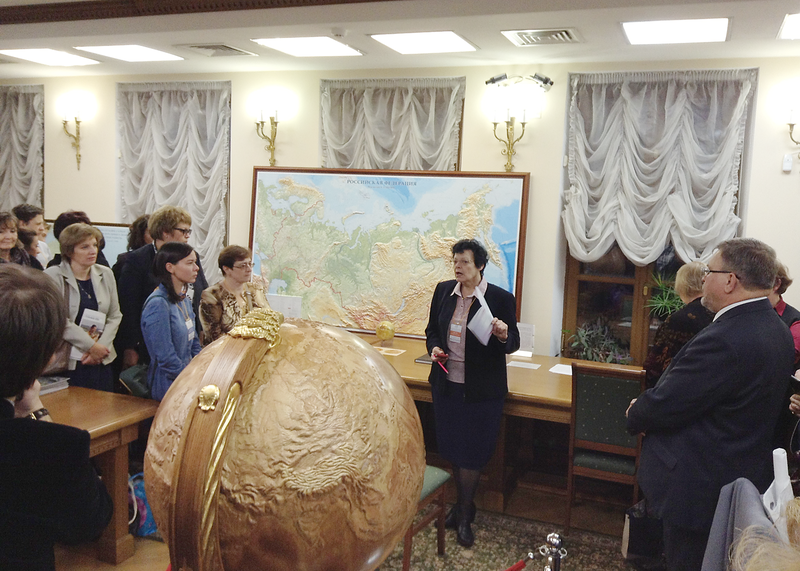 The programme committee received more than 350 contributions from all over Russia, covering the areas of cartography and related disciplines such as geographical information science, remote sensing, geodesy and topography. 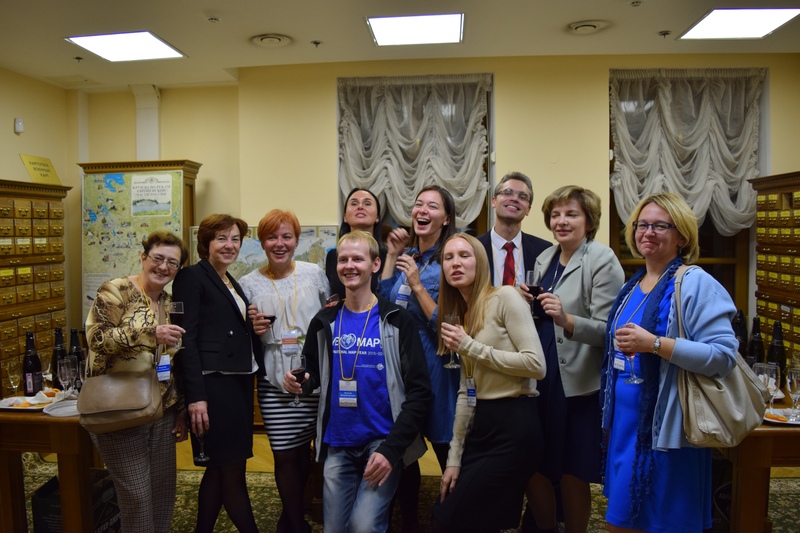 The most recent cartographic products from universities, institutes and industry were exhibited during the conference and rated by organizers for inclusion in Russian national delegation to ICC2017 in Washington. 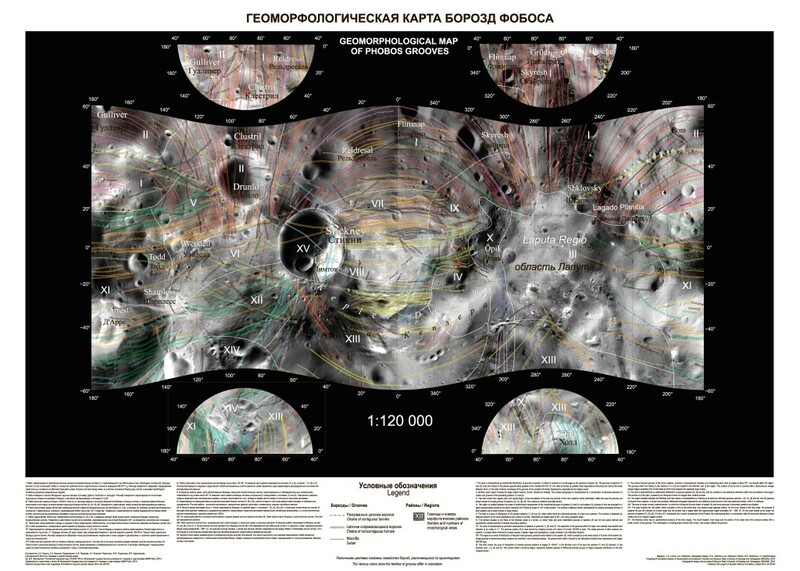 More details about the planetary maps exhibited at this conference will be published next week. 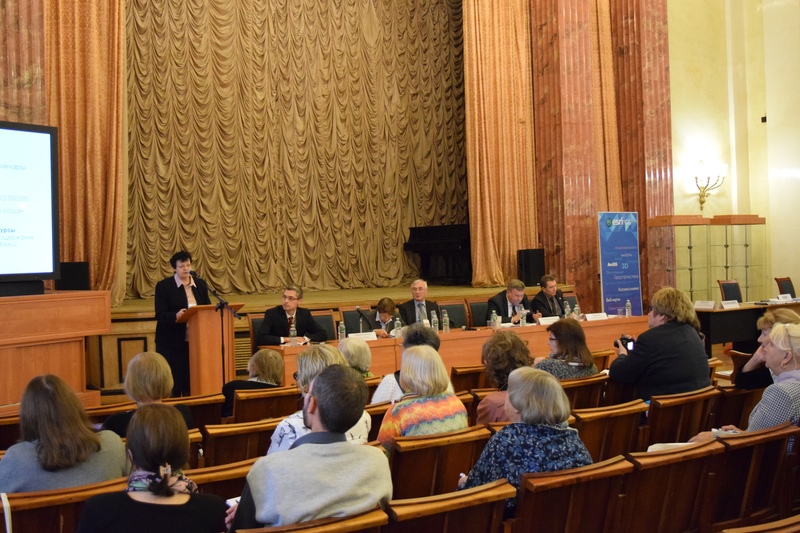 The conference marked the establishment of a new series of National Cartographic Conferences in Russia, which will be held biannually with the next conference planned for 2018. Improvements in digital use and the further evolution of the map image are now also being implemented for additional scales following on from the 1:25,000 scale national maps. 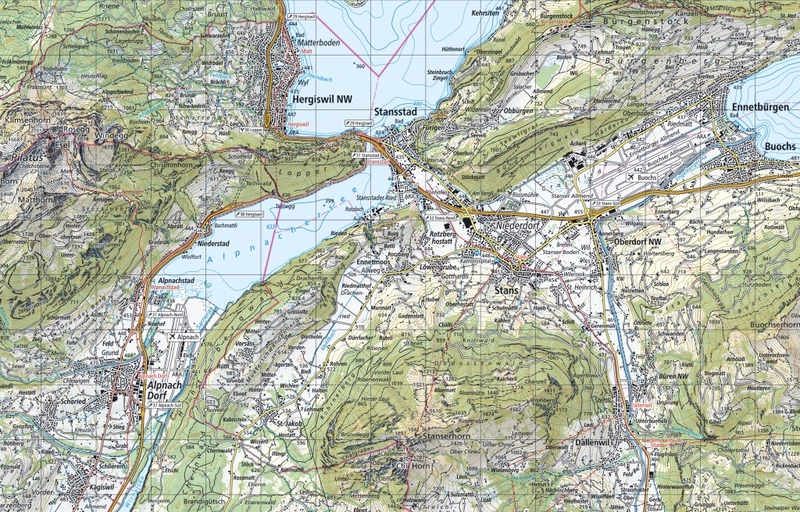 For the first time, swisstopo is now publishing the 1:50,000 scale maps in the new style. 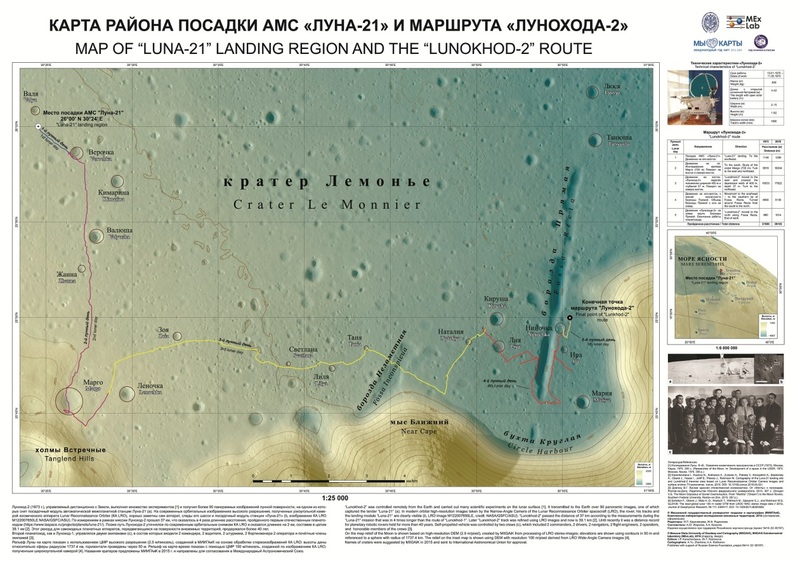 Created from 1938 on, the 1:50,000 scale national maps replaced the time-honoured Dufour and Siegfried maps. Now this series of maps has also come to an end. 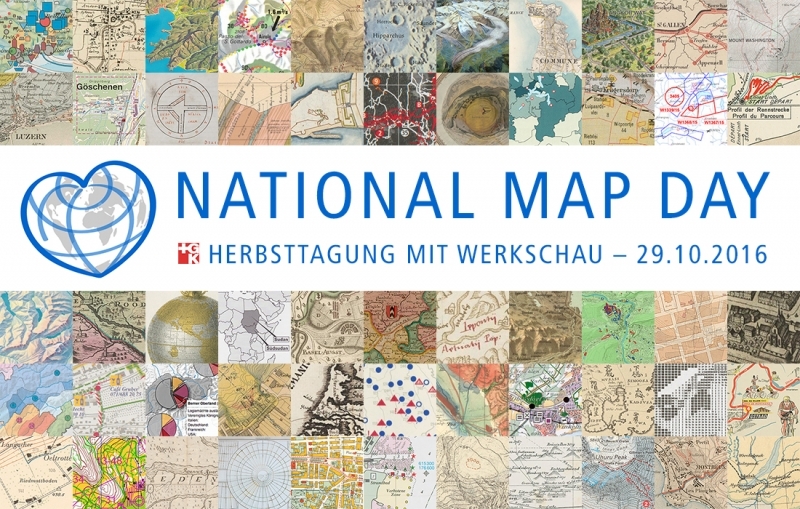 The complete modernisation of the 1:50,000 scale national maps is starting in north-eastern Switzerland and will include all 78 sheets within the next few years. The new 1:50,000 scale national map is largely and directly derived automatically from the topographical landscape model, which is an important geodatabase. 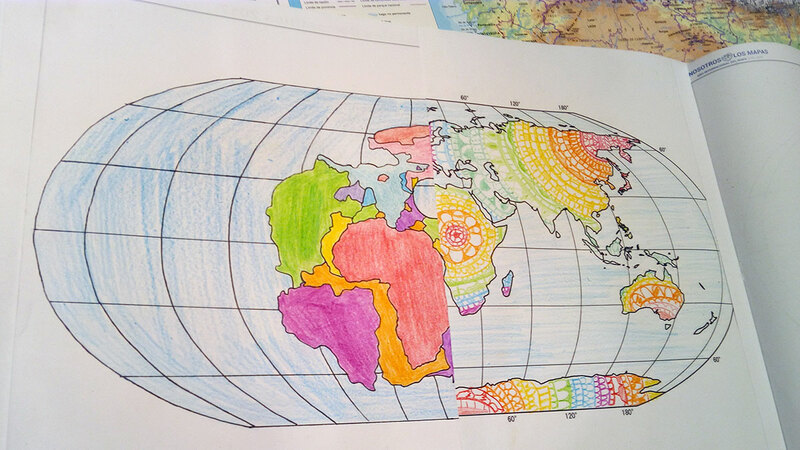 When the automated processes reach their limits, the cartographers’ skills remain as essential as before. The new production processes also allow the 1:25,000 and 1:50,000 scale maps to be prepared in parallel, which helps to keep the maps up-to-date. The map graphics have been discreetly upgraded and the colours used brought into line with those of the new 1:10,000 and 1:25,000 scale national maps. More details on the new 1:50’000 national map can be found on swisstopo.ch. What is a geological map? Which kind of data does it provide? How can it be used for applications with consequences on people’s life? 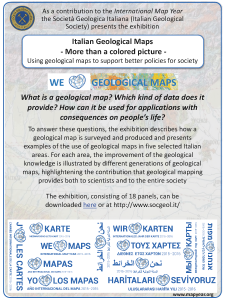 As a contribution to the International Map Year, the Società Geologica Italiana created an exhibition of 18 posters to explain the value of geological maps. The panels, prepared for the exhibition that was organized for the National Geological Conference in Neaples at the beginning of September, can be freely downloaded in Italian and in English. 2A, B, C – Geology of the Alps. Across Valtellina and Alto Adige-Südtirol. From printed geological maps to the digital database. 3A, B, C – Geology of the plains. Po Plain and study of seismically-induced sediment liquefaction. 4A, B, C – Geology of the Central Apennine. The Piana del Fucino and L’Aquila. Seismic microzonation. 5A, B, C – Geology of volcanic areas: the Vesuvio. Volcanic hazards. 6A, B, C – Geology and man: the Gulf of Taranto. Geology of the sea-bottom. Feel free to download the panels from the website of the Italian Geological Society. We congratulate and thank our Italian colleagues Fabrizio Berra, Chiara D’Ambrogi and Marcello Tropeano on their wonderful work in explaining the relevance of (geological) cartography! 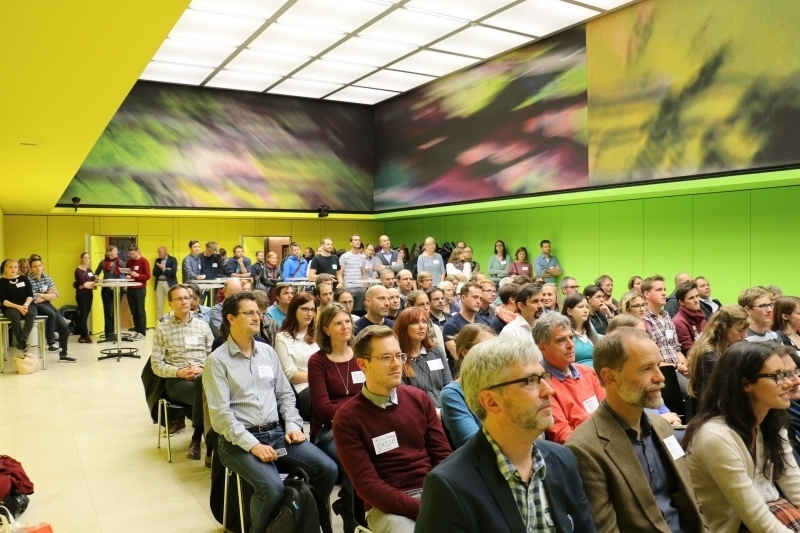 On October 13, 2016 the GDi Esri Hungary Ltd held their usual annual User Conference. 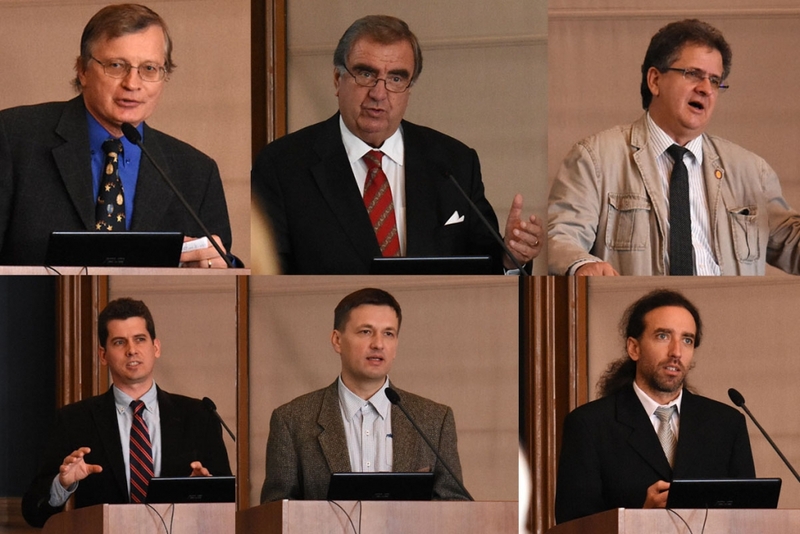 At this occasion, the Department of Cartography and Geoinformatics at Eötvös Loránd University was represented by Prof. Jesus Reyes. 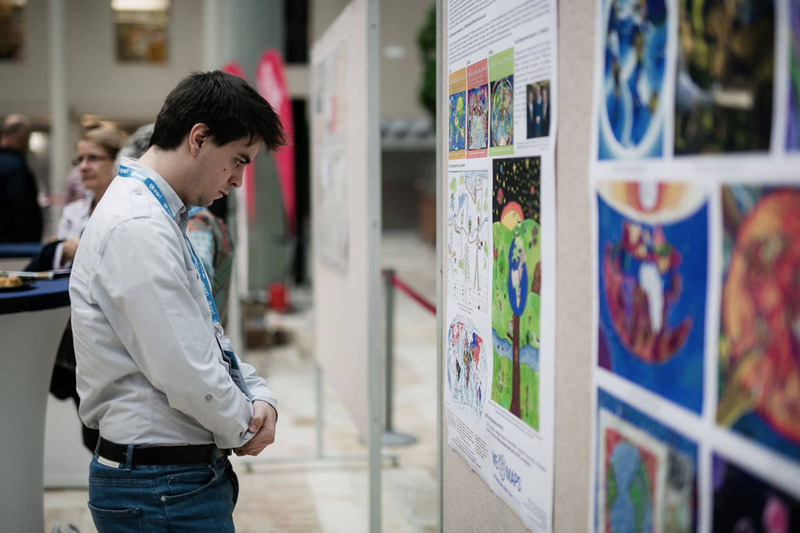 He was asked by the organizers to present a poster on the collaboration by ICA and Esri on publishing a books related to the International Barbara Petchenik Competition during the last years – as well as presenting some of the drawings made by Hungarian children for the last competition in 2015. This opportunity was also used to popularize the International Map Year by dedicating the poster to this international feast event of world cartography. Delegates and visitors could be observed enjoying the posters displayed in the exhibition hall of the Telekom Headquarters in Budapest. The International Symposium on the Dissemination of Cartographic Knowledge, held in Dubrovnik, Croatia, was a joint symposium by the ICA commissions on the History of Cartography, Map Production and Geoinformation Management and Use, User, and Usability Issues, as well as the Institute of Social Sciences “Ivo Pilar”. 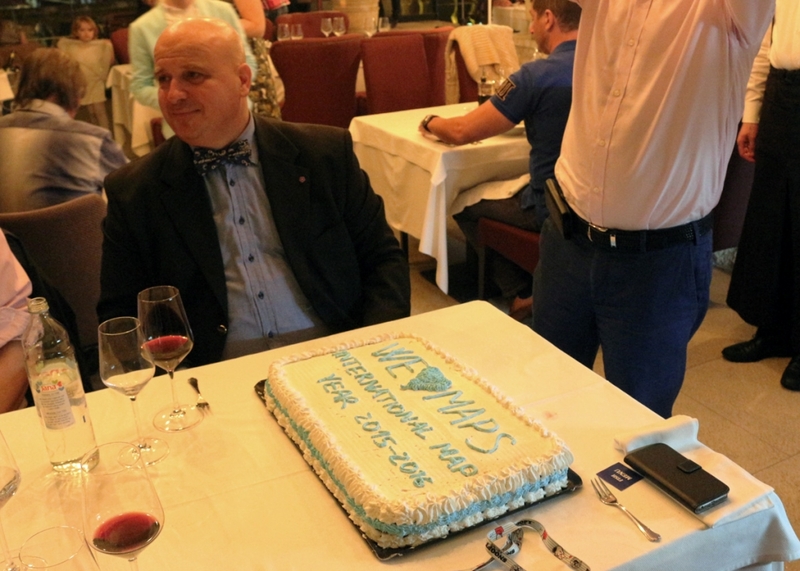 At the conference dinner, organiser Mirela Altic had organised a gigantic We <3 Maps cake, which was subsequently cut and eaten. 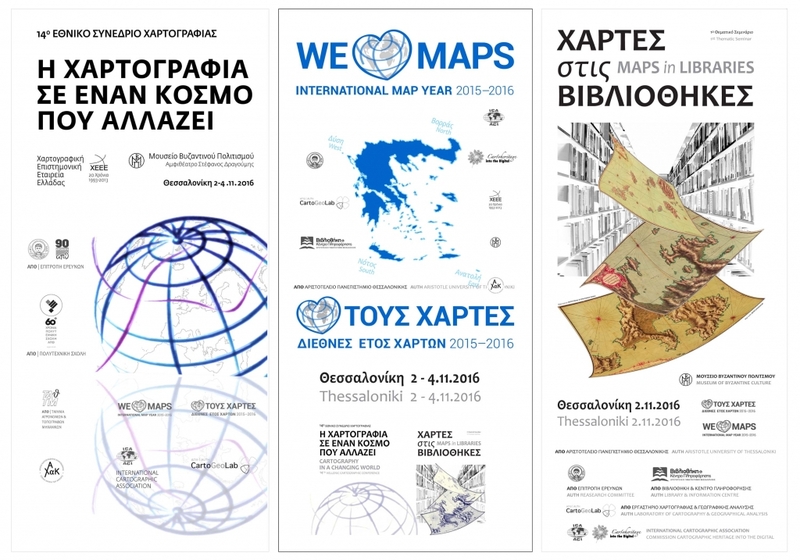 Thessaloniki celebrates the IMY in Greece with initiatives organised by the Hellenic Cartographic Society, the Aristotle University of Thessaloniki (AUTH) and the Cartographic Heritage Archives of the Hellenic General State Archives. In the 14th Hellenic Cartographic Conference, Thessaloniki, 2-4 November 2016, organised by the Hellenic Cartographic Society under the ICA endorsement, sponsored and supported by the AUTH Research Committee, the AUTH Faculty of Engineering, the AUTH School of Rural & Surveying Engineering, the AUTH Laboratory of Cartography & Geographical Analysis (AUTH CartoGeoLab), the Cartographic Heritage Archives by the Hellenic General State Archives and the ICA Commission on Cartographic Heritage into the Digital. In the intensive one-day seminar Maps in Libraries, Thessaloniki, 2 November 2016, for in-service and unemployed librarians and library & archiving students in Greece, organised by the AUTH Library & Information Centre, the AUTH CartoGeoLab, the ICA Commission on Cartographic Heritage into the Digital and sponsored by the AUTH Research Committee. The Cartographic Heritage Archives (CHA, FB:Maplibrary) established in 2013 resuming the aims and activities of the National Centre for Maps & Cartographic Heritage (1997-2012), as a Department of the General State Archives of Greece (GSA), targeting at the management and diffusion of cartographic heritage in the context of the GSA. 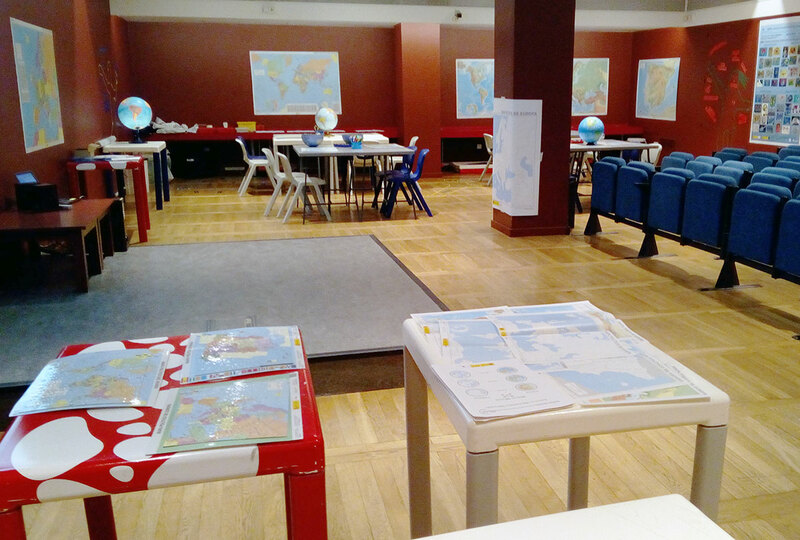 Among other activities the CHA contribute to the introduction of cartographic culture in education, using the gained experience since 1997. Several courses introduced recently in primary and secondary education curricula in Greece, encouraged the preparation of small-scale research projects. This offered the grounds for promoting programmes on the use of maps and cartoheritage in education. 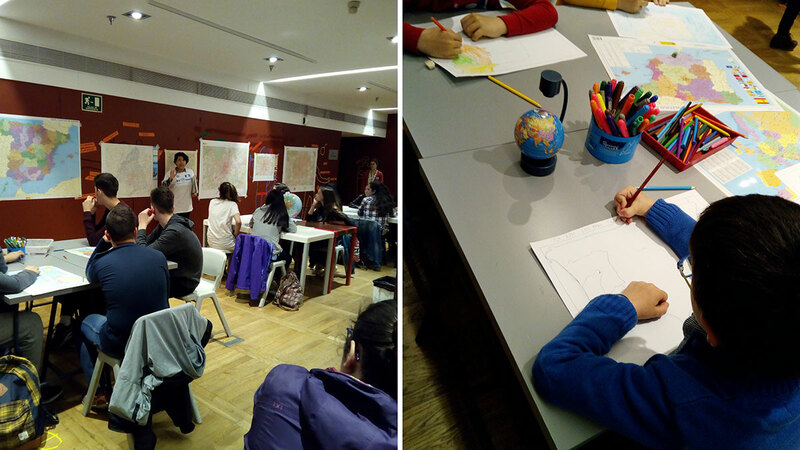 During the last school year, on the occasion of the IMY 2015-2016, the CHA introduced among other activities the educational program ‘An old map in my project’, in cooperation with the Office for Cultural Issues, Directorate of Secondary Education of Eastern Thessaloniki. The Section of Mathematical Geography and Cartography of the Geographical Society of Lisbon has joined the Map Year celebrations by organizing a cycle of conferences aimed at both experts and the general public, thus contributing to the purposes of the Society, namely by disseminating geographic knowledge and its development. 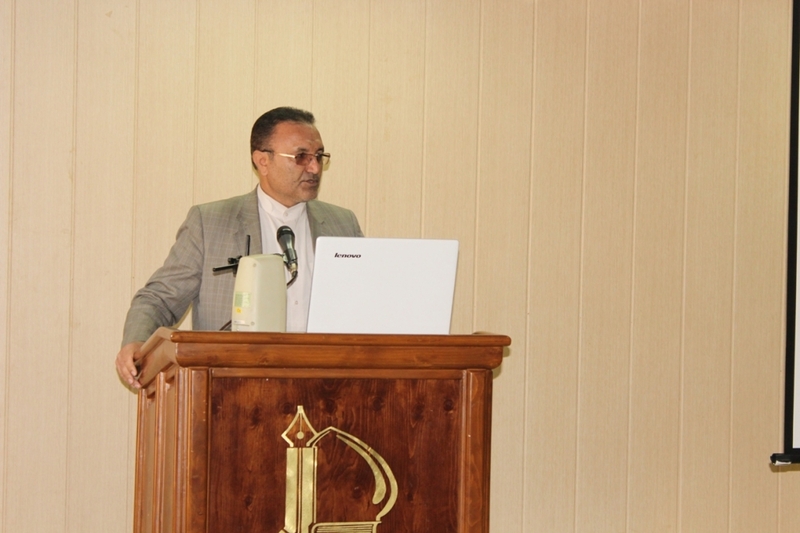 Each conference is followed by a summary and comments made by a member of the Section. 21 September, 5.30 p.m.: Geostatistics. Applications to hydrogeology by Luís Ribeiro, PhD, CERIS, Department of Civil Engineering, Architecture, and Georesources of the Technical Higher Education Institute of the University of Lisbon. Summary and comments: Rogério Ferreira de Almeida, Eng. 28 November (to be confirmed), 5.30 p.m.: A Raia, La Raya: contribution of national cartography in the demarcation of the Portuguese-Spanish boundary (1855–1926) by Maria Helena Dias, PhD, University of Lisbon (retired). Summary and comments: João Cordeiro, Eng.